The stem leaf of gramineae perennial herb lophathenum gracile Brongn. Mainly in Zhejiang, Jiangsu and Hubei provinces in China. Collected when spica growing out at the end of summer. Big leaves with little stem, without root and spica, in greenish, light, in pliable texture. 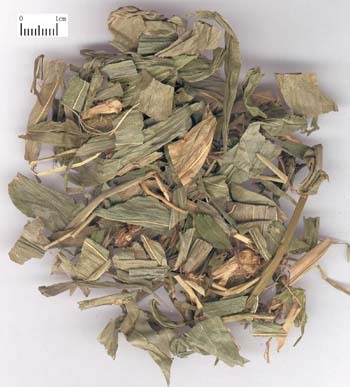 Cold, bitter, sweet and bland; small intestine, lung and stomach meridians entered. Clear heat and relieve restlessness and induce diuresis. It can clear and purge the excess heat at qi system and has certain actions of relieving high fever. For entering lung and stomach meridians and being good at purging heart fire, it is indicated for high fever, sweat, and irritability and thirst caused by pathogenic warmth and heat going to qi system. Because of its mild action, it is commonly used for light case. 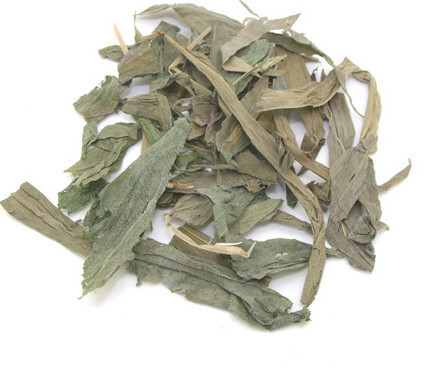 For server case, it is used as an assistant herb for Shi Gao and Zhi Mu. For thirst due to stomach heat consuming fluids, it can be used because it has the action of clearing stomach heat. For clearing heart fire upper and clearing urine heat lower, it has the same actions as Zhu Ye. It is also indicated for exuberant heart fire manifested as irritability and hot sensation, red tongue tip and mouth ulcers, or for heart heat going down to small intestines manifested as hot and difficult urination and urethral burning and painful sensation.